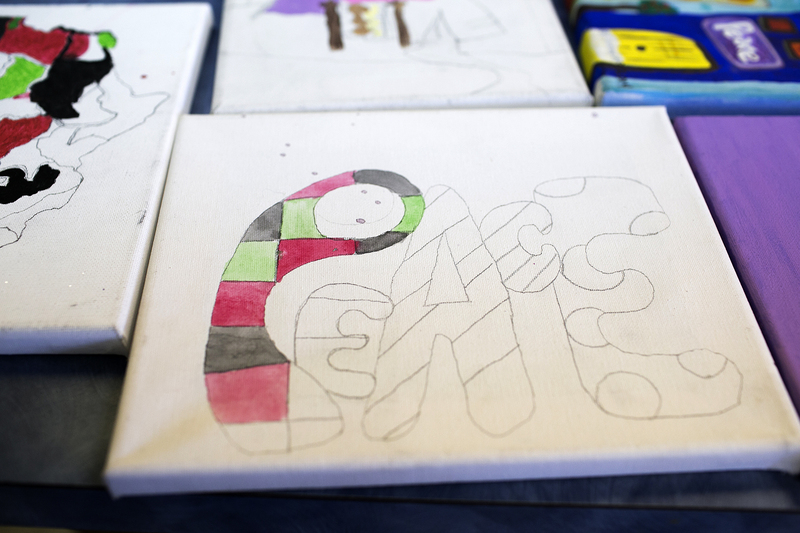 It was supposed to be just another day at Peace Camp, an annual summer program that brings together kids from several of Cleveland’s inner-city neighborhoods to learn about job readiness, financial literacy and the value of entrepreneurship. Instead, they were attending an impromptu vigil. Around 8 p.m. Sunday, as the Republican national convention was getting underway downtown, Phillip Banks, 19, was murdered in a drive-by shooting at a Stop the Violence Beach Party along the lakefront. A 12-year-old was struck in the back, but survived. “Make America Safe Again” was the first day’s theme at the convention. That phrase sounds different here at the York Masonic Temple, seven miles from the convention site. Samad was originally scheduled to speak Tuesday morning in the official protest area near Quicken Loans Arena. He canceled to be with the campers as they shared stories of how they learned about the shooting. Many of them knew Banks and heard about his death through word of mouth or social media. One young woman read a tweet from the alleged shooter, who said he would shoot the party up. Samad asks why. No one answers. The $50 million renovation of Public Square in downtown Cleveland took 15 months to complete. This is where protest speakers gather to deliver speeches in 30-minute intervals during the convention. A five-minute car ride away in Playhouse Square hovers what is allegedly the world’s largest chandelier. The 8,500-pound outdoor lighting fixture cost roughly $1.2 million, part of a $16 million streetscape improvement in the area. A Peace drawing at the Masonic Hall in Cleveland, OH on Tuesday, July 19, 2016. Samad and his older campers don’t understand how nearly $70 million could go to downtown restoration while their communities suffer. A ride up and down Kinsman Road shows a street littered with abandoned houses. The room becomes more and more engaged as each camper speaks. Samad stood in the corner allowing the young men and women to talk. It’s a form of therapy, whether they realize it or not. 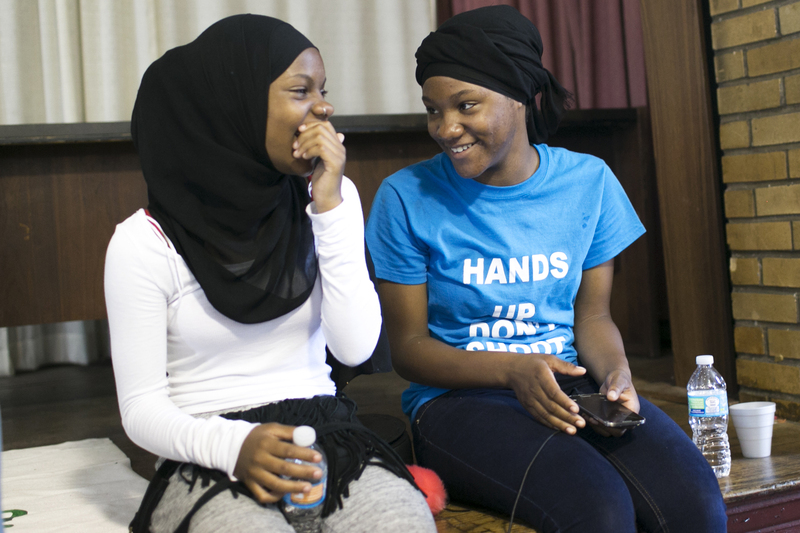 Attalah Abdulhaqq, Tacharah Abdulhaqq, Taharah Abdulhaqq, and Faith Green hang out after a peace camp at a Masonic Hall in Cleveland, OH on Tuesday, July 19, 2016. After a 25-minute discussion, Samad instructed the campers to clean up. It’s almost time to go home. But for Samad, it’s time to speak his mind. Samad sat at a desk toward the back of a room, dressed in black combat boots, black cargo pants and a black “Peace In The Hood” T-shirt. A bladeless fan runs on high behind him as 3-year-old Jamal Myles sleeps on a blanket on the carpeted floor. His stepfather, brother and stepbrother are part of Peace. 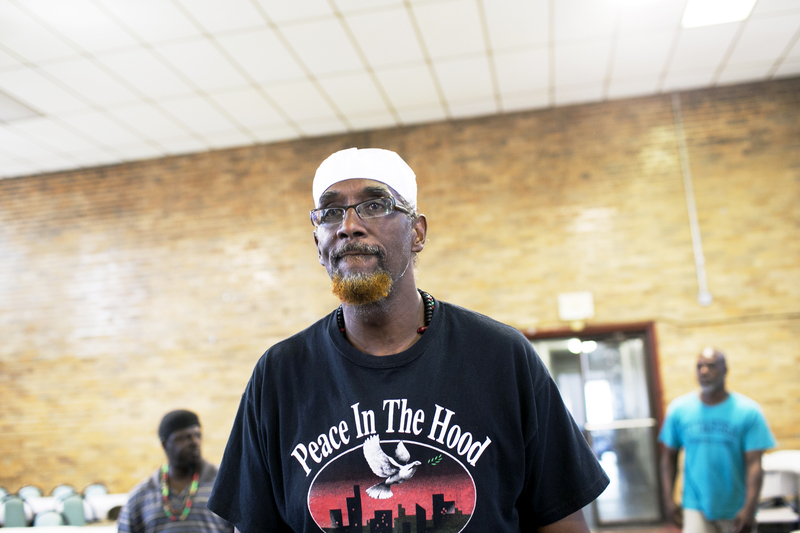 Samad, 64, is a native Clevelander who served as a gang prevention specialist for the Cleveland Board of Education Gang Task Force from 1991 until 2000. His work in the community, much of which involved brokering truces between rival gangs and unofficially adopting many local kids as his own, earned him induction into the city’s International Hall of Fame this year. Cleveland.com named him one of its Community Heroes in 2011. 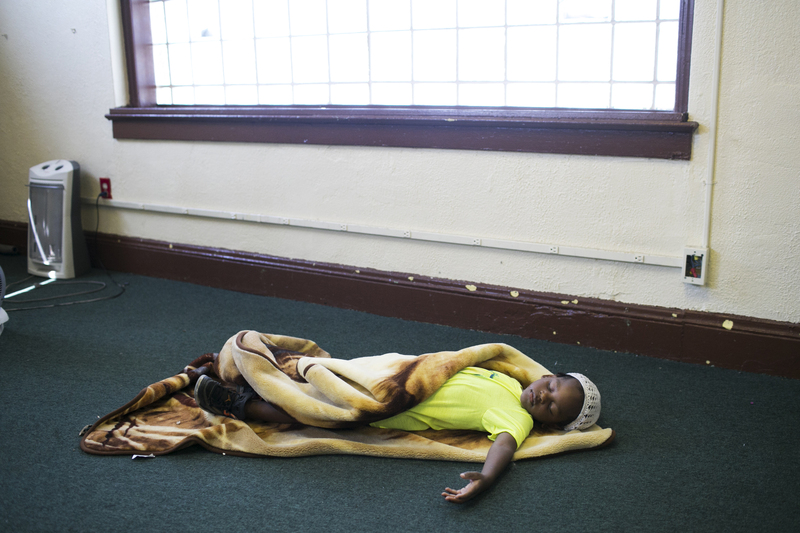 A boy sleeps on the floor of Masonic Hall in Cleveland, OH on Tuesday, July 19, 2016. Decades of experience provide the conviction in his voice. But conviction alone doesn’t pay the bills. Peace In The Hood had $91,000 in revenue in 2013, according to IRS records. It has three full-time employees and a host of part-timers. “Once again, it’s the resources,” he said, lightly slamming his fist on the desk. “It’s the resources that sit in the state capital and in these corporate and philanthropic circles that don’t really understand what we’re talking about and are too arrogant to say I don’t understand. Insanity comes in many forms. The spirit of Tamir Rice is never far from the city’s consciousness when dealing with issues of community relations and law enforcement. Rice is the 12-year-old infamously killed in November 2014 by police who thought the replica gun Rice was playing with was a real weapon. Neither of the officers involved, Timothy Loehmann and Frank Garmback, faced charges. Rice’s story is only a new installment in the city’s tense history of race relations. However, when discussing Tamir – “All they had to do was pull up at the top of that hill and call out to Tamir saying, ‘Let me see your hands and get down on the ground.’ He would’ve been alive and they wouldn’t be looked at as the clowns and dummies that they were” – he simultaneously shoots down detractors who say crime is a nonissue in the black community. Khalid Samad stands in Masonic Hall in Cleveland, OH on Tuesday, July 19, 2016. Samad is a founder of Peace in the Hood, a youth violence, prevention, intervention and educational program that promotes personal responsibility, empowerment and self-sufficiency. It’s hard to understand how to make a country safe again when, in many ways, it never was for people who looked like him.